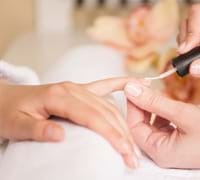 A full manicure treatment including nail shaping, exfoliation, cuticle work, hand mask and a soothing & nourishing hand massage followed by an application of nail polish of your choice. 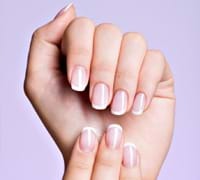 A full manicure treatment including nail shaping, exfoliation, cuticle work, hand mask, a soothing & nourishing hand massage followed by an application of French nail polish. 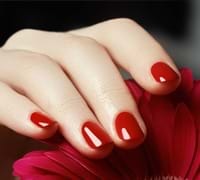 Gel Polish is removed using foil wraps and gentle buffing. 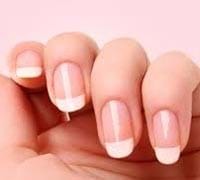 Re-shape and file of the nails followed by a French nail polish. Includes a bubbling spa bath to soothe your tired feet, nail shaping, exfoliation, cuticle work, foot mask and a relaxing foot massage, followed by an application of nail polish of your choice. Includes a bubbling spa bath to soothe your tired feet, nail shaping, exfoliation, cuticle work, foot mask and a relaxing foot massage, followed by an application of French nail polish. A spa bath will soften & soothe your feet before nail cutting, exfoliation, cuticle work, foot mask and a soothing and nourishing foot massage.